Yasue said that it will be “more technical and offensive,” and it will be designed for those Keyblade wielders who are “good at action games” and “timing attacks.” He also mentioned that you will have to change the way you play the game, due to the skill required to handle Critical Mode. Critical Mode has been a series staple since the introduction of it in Kingdom Hearts 2: Final Mix. In the past, it reduced your character’s HP and EXP gain. 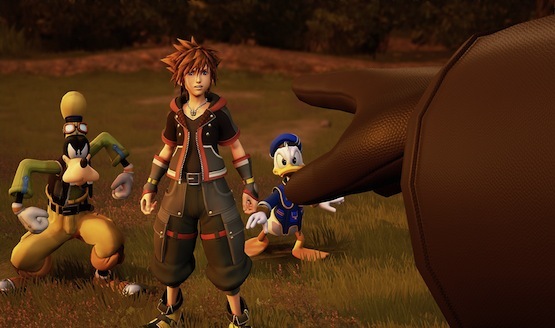 However, with KH3, Yasue has said to Game Informer that there “will be more than enemies just having a value change.” It seems like this time, it will be more involved than previous titles in the series. The paid DLC will be releasing all at once and will “combine a lot of things.” Series creator Tetsuya Nomura said that it will be releasing by the end of 2019. It will likely be similar to the Final Mixes of old, which have added new bosses, tweaks to the gameplay, additional cutscenes, and more optional content. One missing feature is the customization of Kingdom Hearts Birth By Sleep 0.2 – A Fragmentary Passage, which allowed players to change the colors of Aqua’s outfit and added accessories. Perhaps this is a feature that will be added to Kingdom Hearts 3? What updates do you hope to see included in the game?